The ThINKin' Spot: SNSS RELEASE DAY!!!!! Hello, and welcome to my blog on this cold, snowy, windy day!! I hope that's not the weather scenario where you are, but for me, that's the case!! Inside, making cards is where I'll happily find myself until warms up, and it looks like I may be here for a while!! 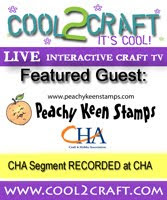 *wink* There's lots of excitement today, and not only with the weather, but with Sweet -n Sassy Stamps! Yep!! Today is release day!!! Woohoo!! I'm celebrating with a card for Spring. I know, I know... what a day to do that, but for me, this is the perfect day! I can let my imagination take me to a warm, Spring day with the daffodils blooming, and the sun shining bright. THAT'S where I want to be!!!! I love snow at Christmas, and we were thrilled with a white Christmas this year, but after Christmas, I'm perfectly fine for it to all go away, and stay away until the NEXT Christmas. Hmmmm... I guess someone didn't get that memo?!! LOL!!! This card was made with one of the 6 new stamp sets that are being released today at SNSS. Stop by their store, where you will find this beautiful stamp set, along with two other Birth Month Flower sets, illustrated by the very talented Leah Cornelius. You will also find the Melody of Love stamp set, illustrated by our newest artist, Rachael Zimmerman, along with two adorble sets, Love You This Much, & Eskimo Kisses both illustrated by Korin Sutherland. You can pick up the entire set of new releases for only $40.00, or you can buy induvidually or mix and match your sets. Whatever you decide, I know you will have lots of stamping pleasure and make many, many, beautiful things with your new Sweet -n Sassy Stamps. For this card, I followed the sketch challenge for this week over at SCS. I colored the image with my SU inks and an aquapainter/blender pen. The paper is from a stack of Stampin' Up! DSP that I've had for along time, and I kept the embellishments simple with brads, and grosgrain ribbon. Now that's a stretch for me, because you know I LOVE to bling things out, but I just couldn't do it to this card. The image is so perfect and elegant all by itself, that I didn't think it needed a lot of my "extras:". I hope you like it as much as I've enjoyed sharing it with you. May you have a warm and wonderful day, filled with things that you love. Thanks for stopping by today, and make it a great day by stamping something!! What a beautiful card! Daffodils are always the first flowers to let us know spring is almost here. Your coloring is beautiful and the papers go so well with it. Keep warm my sweet friend. Such a beautiful card!! I love the image and you have colored it perfectly!! Absolutely Beautiful! I don't think you can make an ugly card!!!! I love how pretty and Springy it feels! Lovely card, such a great layout. Your coloring is beautiful! Lorie, this is jaw dropping GORGEOUS!! The patterned paper is perfect for this image and I love the overall clean feel to this card! Beautifully done girl! So lovely, Lorie! The daffodils look so REAL the way you colored them. Lorie, what an absolutely beautiful card. Your coloring is just fabulous. I love the DP. Awesome job!! So so so very stunning .... it just bursts off the page with it's loveliness! I couldn't wait to order this today for the March birthday I have for Michelle's swap - isn't it a God-cidence that these stamps are here! I am so in love .... and your card, well ..... WOW! This is just stunning Lorie..
What a lovely, cheerful & sweet card! Bookmarked this. Thank you after sharing. Positively advantage my time. Absolutely gorgeous! The daffodils always make me smile because it means spring is coming! Your daffodils are just beautiful and I love the papers and layout you used!